Jake Hobson, founder of Niwaki Ltd. 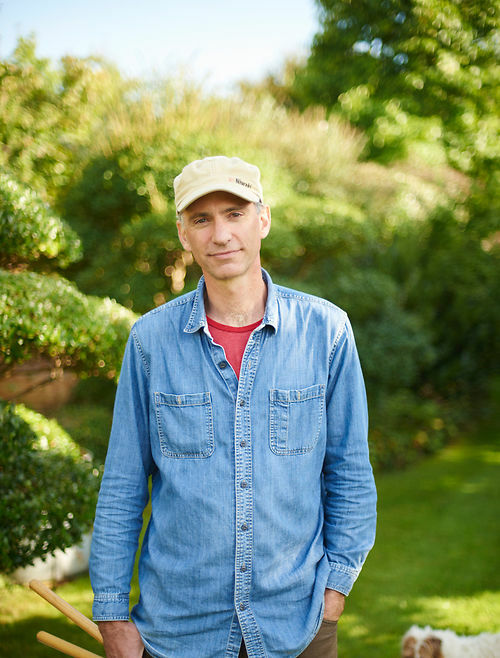 Influenced by his time in Japan, and his creative background (he studied sculpture at the Slade in London) Jake is interested in what he calls Organic Topiary, combining traditional European topiary with Japanese niwaki pruning and contemporary Japanese cloud pruning. He writes and gives lectures around the world, but, although he's happier up a tripod ladder pruning a pine tree than he is in the Niwaki office, Jake no longer offers a pruning or consultation service for clients. Jake has been featured in various articles throughout the years including; The Art of Cutting Trees into Cloud Shapes (Emma Townsend, The Independent), The Kindest Cut (Anna Pavord, The Independent), The Cutting Edge (Martyn Cox, The Times). Jake has also written 2 books; The Art of Creative Pruning: Inventive Ideas for Training and Shaping Trees and Shrubs and Niwaki: Pruning, Training, and Shaping Trees the Japanese Way. Check our events page for details of Lectures and Workshops that Jake hosts. Jake’s family home near Yeovil is open to private groups by appointment, please contact us.